As a long-time volunteer at Akron Children’s Hospital, Debbie Patterson started out as a family representative, checking in with patients and families to see how their hospital stay was going. When she needed greater flexibility, the volunteer office suggested she become a volunteer in Akron Children’s Haslinger Family Pediatric Palliative Care Center. Since 2008, Debbie has been coming to the center every week to assist with clerical tasks such as sending faxes, filing and making folders for new patients. A typical shift is 3½ to 4 hours. 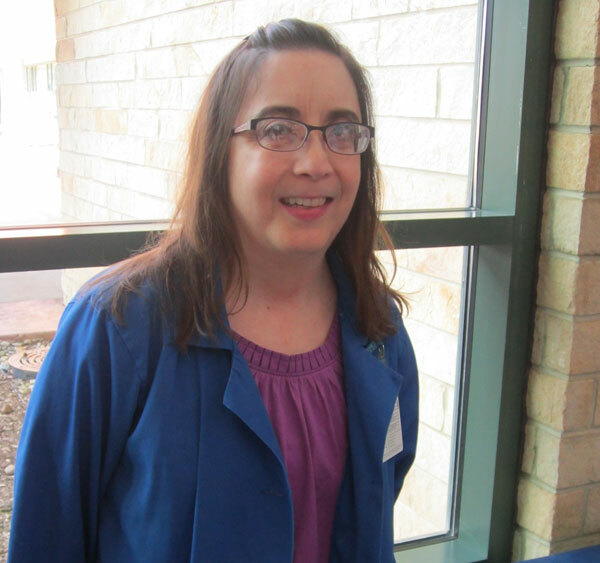 “Because I have arthritis, I’m able to help with more sedentary tasks,” Debbie said. Using volunteers to provide clerical support allows the center to save resources and allocate more funds to programs and services that directly benefit patients. For Debbie, it provides a nice break to her weekly routine, which includes working part-time as a sales associate for a major retailer. Debbie also enjoys being able to support these efforts by pitching in with day-to-day tasks that help keep the office running smoothly.